We are specialists in identification and screening of candidates. 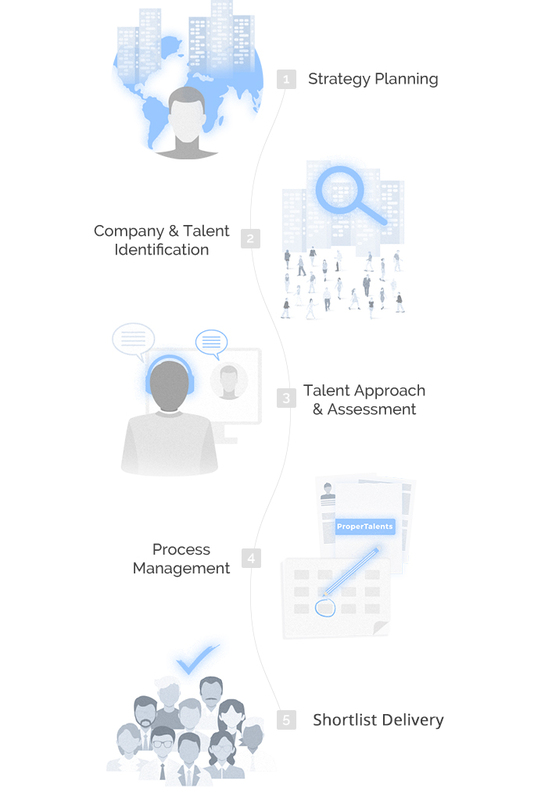 Our service is created to support internal talent acquisition teams and executive search consultants worldwide, and can be tailored to meet different business needs and budgets. We do market mapping, executive research, offering high-level support on search execution, as well as full cycle recruitment. When you are entering a new market and you need to understand the employment set-up or just planning for short-medium-long term talent acquisitions and you want to have a talent overview before any actions to be made. It is a tailor made market mapping service driven by your business requirements that provides important market knowledge by identifying potential candidates, without interviewing them directly. 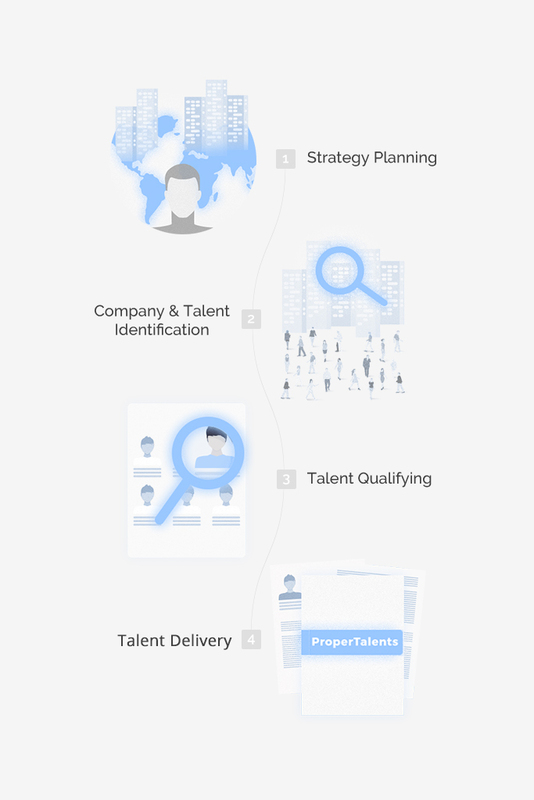 It offers information about other organizations or the talent pool within in a specific industry sector, helping you shape your recruitment strategy and staying ahead of your competition. We will start with planning a search strategy, uncovering the following topics: candidate profile, company target, search geography, relevant insights, timeline. We will build a target list of companies and will include it in the search strategy. Then we'll identify all relevant candidates for the required position by researching the social and professional networking channels, company website, press or direct id. 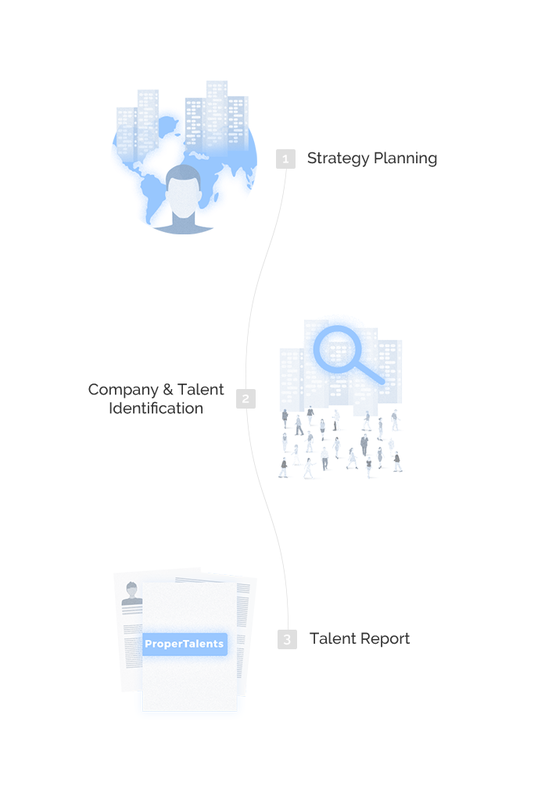 You will receive a detailed report providing a comprehensive overview of the talent pool in the market, which can include: name, employer, title, location, public contacts, profile links, more insights. If you are an In-house Recruiter or Executive Search Consultant managing multiple projects at once, internal stakeholders or clients, candidates and business development activities, then you certainly understand the need for this service. A dedicated Researcher will support you with identification, candidate management and screening, shortlist development and reporting. We will start by designing a clear and structured research strategy that will include: candidate profiling, market assessment via competition and similar players in the industry, profile benchmarking, defining relevant positions, seniority, search geography, timing etc. We will then build a target list of companies and candidate long-list through calling and internet sourcing, ensuring the accuracy of the identification process. We will approach and gauge candidates interest in pursuing a specific career opportunity and screen them to meet certain requirements. We will share their CV’s along with our assessment notes arranging interviews with qualified talents. We will continue to assist you with candidate management until the offer has been made and accepted. If you are recruiting for a position and you’re struggling to find the right talent, we’ll support your organization recruitment efforts, by bringing relevant and interested candidates to the table. We have the skills to identify, assess and help you hire the best people. Our Recruitment Consultants will engage with both active and passive candidates, evaluating their technical and personal fit, to develop a shortlist of candidates that you’ll find suitable. Planning a search strategy that fits best your business needs. This will involve understanding the search context, your organizational culture and expectations to draft the ideal candidate profile. Developing a target list of companies and identifying the relevant talent pool in the market. You will receive a report on the longlist, showing the talent market overview. Next, we’ll approach candidates, presenting your opportunity and assessing their interest. We’ll screen interested candidates, evaluating their fit, motivation and relevancy, shortlisting only best of them. During the process we will keep constant communication and will provide all documentation needs, including progress and candidate reports. After Shortlist presentation, we will continue to assist you with candidate management, arranging interviews, meetings and keeping the selected candidates warm.